Giant Armadillo and Giant Anteater. Two formidable giants from another era still roam the lands of South America: the giant armadillo and the giant anteater. Come hear about them in this one hour talk. Very little was known about giant armadillos until the Giant Armadillo Conservation Program (GACP) started in 2010. Dr. Arnaud Desbiez, a Whitley Award-winning scientist from Hotel Armadillo, started working alone searching for the species with just a few Camera traps in the Pantanal. Today the program spans three biomes and a team of six dedicated Brazilian biologists and veterinarians. They have made amazing discoveries and still have so much to learn. The team also works with giant anteaters and is currently searching for ways to prevent them from being killed on the numerous highways that now cross their habitat. Giant anteaters are the third most common road kill in Mato Grosso do Sul and the species could become locally extinct in some areas due to vehicle collisions. Join Arnaud as he explains his journey and to learn more about how you can help to save these two incredible giants. In addition Dr. Desbiez talk, the evening features food, drinks, and animal encounters with the Zoo’s anteater and lesser anteater, the tamandua. 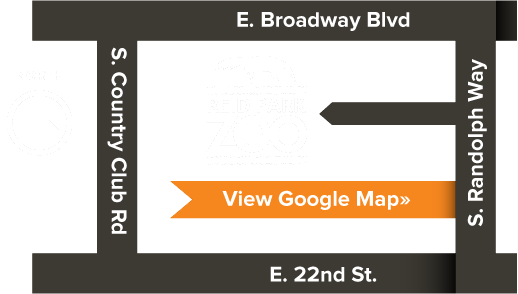 All the proceeds from ticket sales will benefit Reid Park Zoo’s conservation fund. Arnaud Desbiez was born in France, but spent his childhood in the US. He has a Ph.D in Biodiversity management. He has worked and lived in Belize, Argentina, Bolivia, Nepal and has now been based in Brazil for the past 15 years. He recently founded an NGO called ICAS in Brazil (Institute for the Conservation of Wild Animals) to provide administrative support to the two projects he coordinates: the Giant Armadillo Conservation Program and Anteaters and Highways. His work has been featured in National Geographic, BBC nature and was recently featured in a 60 minute documentary on PBS. He lives in Campo Grande, Brazil with his wife, two kids and two Labradors.